1,038 people read this post. Retail chain Woolworths has reportedly threatened to take to court pro-Palestinian activist lobbyist group advocating sanctions and total isolation of the Tel Aviv regime due to its Zionist polices that discriminate against and subjugate, notably, the indigenous community. Woolworths alleges that the Boycott Disinvestment Sanction (BDS), which has staged protests at two of Woolworths’ branches, intimidated its staff and put the safety of the company’s employees at risk. BDS is applying pressure on Woolworths, among other companies, because the retailer trades with Israel. The truth is that there is no official ban of Israeli goods and services from Pretoria. However, say the activists, citing the UK – where companies and consumers boycotted apartheid South Africa – that does not mean that firms “shouldn’t do the right thing”. BDS activists claim that Woolworths, which is yet to address Cii listeners, refuses to meet them. “It’s quite ridiculous and ludicrous the kind of threats that Woolworths is making. If indeed any of the protest actions that we had held were intimidating and intimidatory then Woolworths sure should have gone to the local authorities – to the police station, to the South African Police Service – and have laid charges. They shouldn’t have gone to the media and dismissed the name of BDS South Africa and various organisations and community members that have come out, week after week and month after month, to protest against Woolworths’ share relationship with Israel,” BDS South Africa’s Muhammed Desai told Cii this morning. “We do find these threats ridiculous, we haven’t heard from their lawyers. We encourage them, we encourage this company to go ahead and lay these charges if there were any acts of intimidation,” Desai said in an interview with Sabahul Khair. In contrast, he claimed, it was Woolworth that stands accused of intimidating BDS South Africa protesters, notably at the retailer’s Rosebank and Soweto’s Maponya branches. According to the campaign’s Desai, none of this, and the retailer’s “bullying tactics”, has deterred the pro-Palestinian justice project’s protesters. “Many of those that have been coming out to the pickets that we have been holding will easily be able to give evidence that it is actually Woolworths’ security staff that has been doing the intimidation but in the face of this intimidation our supporters have been standing their ground and haven’t been swayed by Woolworths or by any of their bullying tactics,” he said. Desai described the company’s reported court action threat as a “sad reflection” because it exposed its disrespect for the right to protest – something that many South Africans fought and died for during apartheid. “It’s not something that we take lightly and is not something that we’re going to give up lightly just because they’re threatening to take us to court,” Desai told Cii listeners. Intimidation or not, what exactly have the BDS anti-Woolworths campaign achieved? “These protests and pickets have been having an impact,” Desai said, explaining that the action brought two of its Johannesburg the branches to a complete standstill so much that management decided to shut the supermarkets doors on one of their busiest days. 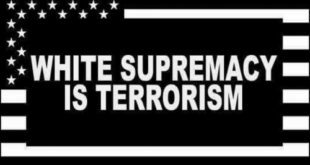 Further, the protest also won the Palestinian cause for an end to tragic mix of subjugation, genocidal apartheid and Nazism, via BDS campaign, new supporters. The Palestine solidarity and human rights organization BDS South Africa has reliably learnt that Woolworths is trying to deflect attention from the growing #BoycottWoolworths campaign by directing the Israeli boycott towards another target, Dischem. Woolworths, we have been informed, for example, are suggesting to journalists that they interview Dischem’s CEO Ivan Saltzman, a well known Israeli supporter. We note for example the recent Sunday Times article focusing on Dischem (when that company is not a current target of BDS South Africa). This media strategy by Woolworths of deflecting attention to another company who’s owner is an ardent Israeli supporter is irresponsible, nonsensical and a futile exercise. It is irresponsible because Woolworths is a public company that should be able to answer questions posed by the media and members of the public instead of either deflecting attention or referring to out-dated press statements (another PR tactic adopted by Woolworths). It is nonsensical because it can be compared to a person breaking the law but refusing to pay a fine just because others are also breaking the law. It is futile because we as BDS South Africa remain resolute in our focused campaign against Woolworths. 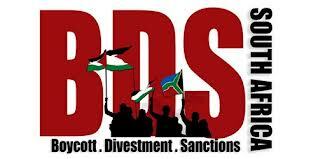 BDS South Africa adopts a strategic and focused approach to its consumer boycott campaigns. We are currently focusing our consumer boycott on Woolworths and once we achieve the goal of having Woolworths terminate its relations with Israel we will move on to the next target/retailer – which may or may not be Dischem. Given its claims to source responsibly and to be an ethical company we had hoped that the Woolworths would have taken the lead in responsible retail practice, respected the boycott of Apartheid Israel and terminated its relations with Israeli companies. This was one of the (various) reasons why Woolworths was chosen for a BDS consumer boycott. Various strategic considerations inform the choice for a BDS consumer boycott campaign, the one factor that DOES NOT influence our decision is whether the owner of a company is Jewish or an Israeli supporter in their personal capacity. Our reasoning for launching a consumer boycott against a company is based on whether they have relations with Israel or are complicit in Israeli human rights abuses. Most South African retailers have some sort of relations with Israel (and of a similar trade value) however we cannot boycott all of them at the same time as this is a daunting task that has a slim chance of having a concrete impact. Similar to the 1980s isolation of Apartheid South Africa, the BDS movement against Israeli Apartheid selects campaigns after careful analysis and strategic considerations. Thus we focus our campaigns and move from one target to another as we reach our goals. While our consumer boycott is focused on Woolworths, BDS South Africa is continuing to make gains on the political, governmental, academic and cultural boycott fronts. The consumer boycott, of which the #BoycottWoolworths campaign forms part of, is just one of the larger BDS campaigns being advanced by BDS South Africa on various fronts.